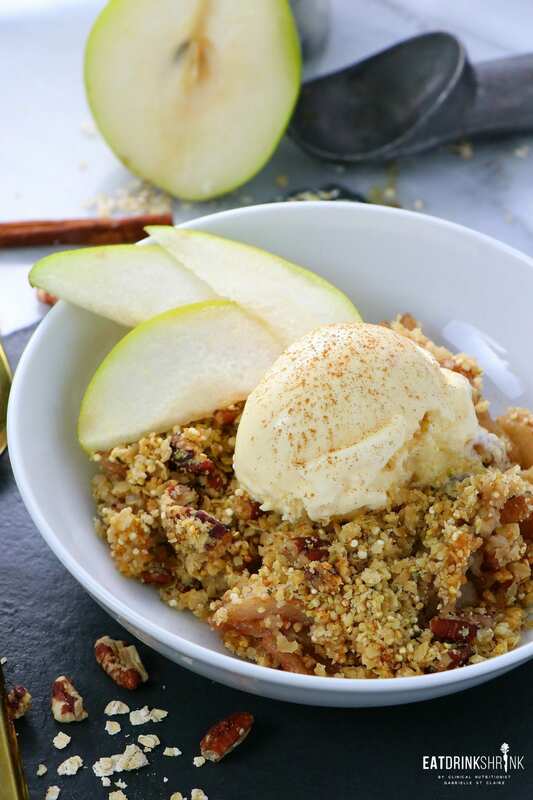 Vegan Pear Crisp with Quinoa - Eat. Drink. Shrink. 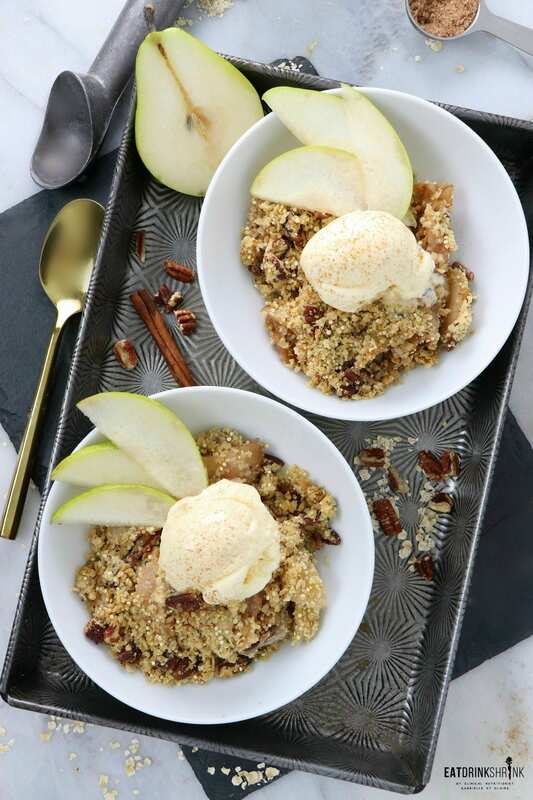 If there is one dessert concept that truly captures the essence of cold weather, it’s a fruit crisp! 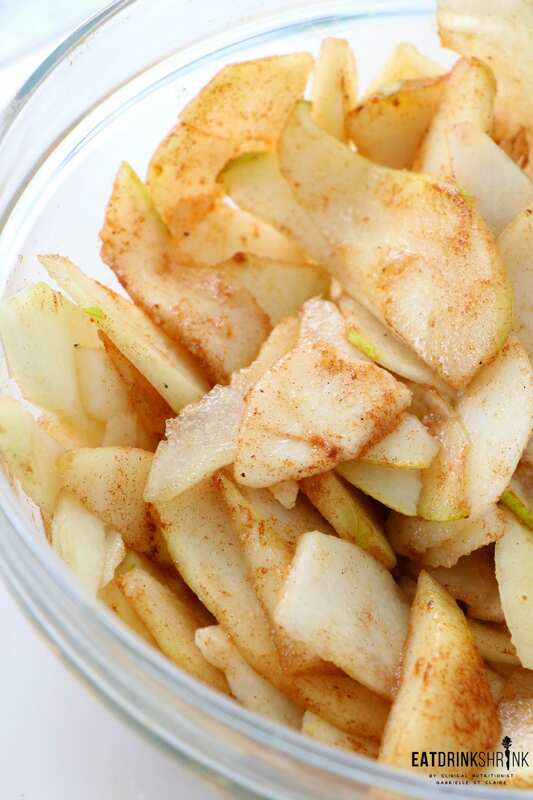 They can easily be thrown together and you can pair them with whatever fruit you’re craving, making the options endless. 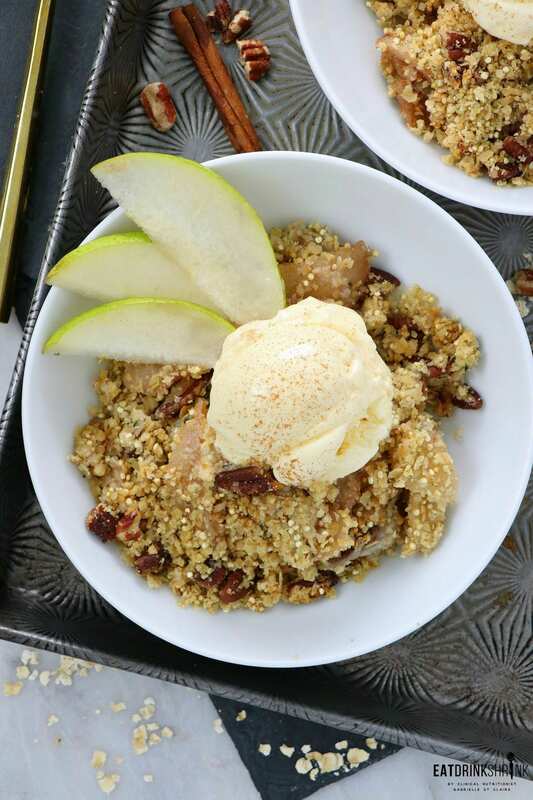 Typically fruit crisps feature white flour and refined sugar, but you can easily get around using those commonplace ingredients. 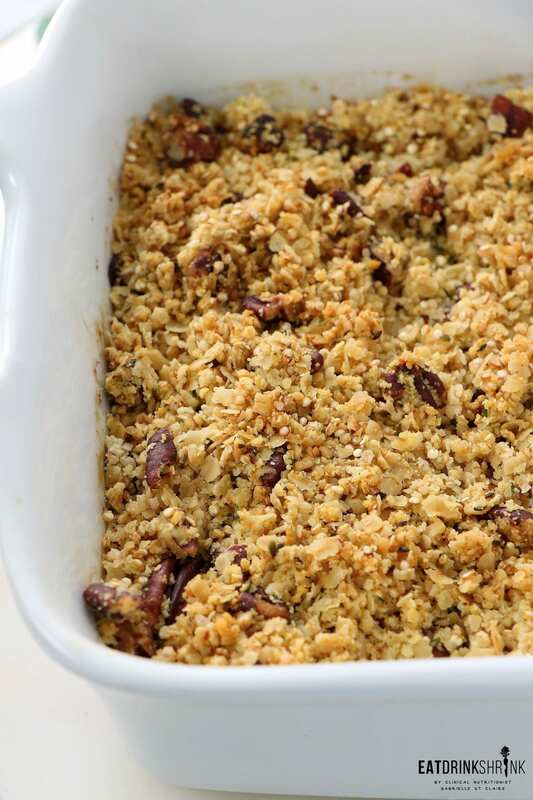 With a little almond flour and maple syrup you can mirror this classic dish! What’s fab about this dish, is everything! 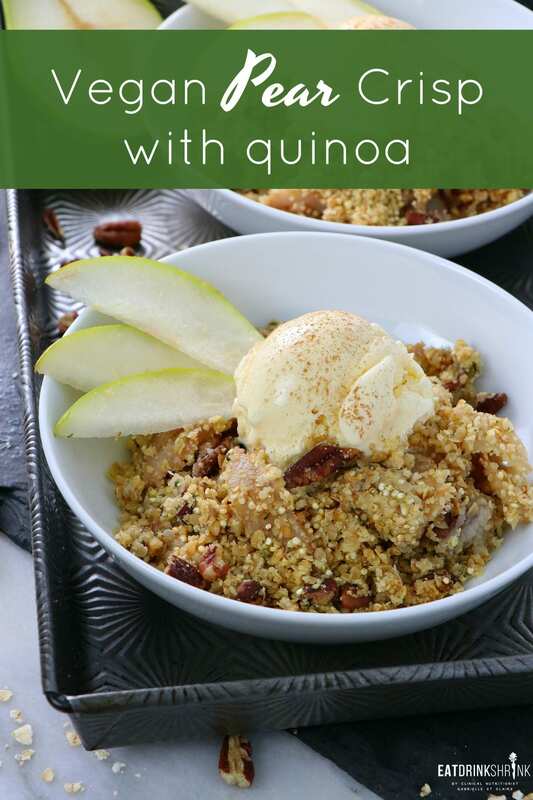 It’s quick, easy, affordable, flavorful, contains no white flour or sugar, packed with fruit, contains minimal added sugar with the natural sweetness being derived from the fruit, perf for winter, packed with quinoa for added protein, you can even throw in some hemp seeds for more healthy protein, and perfect for entertaining! 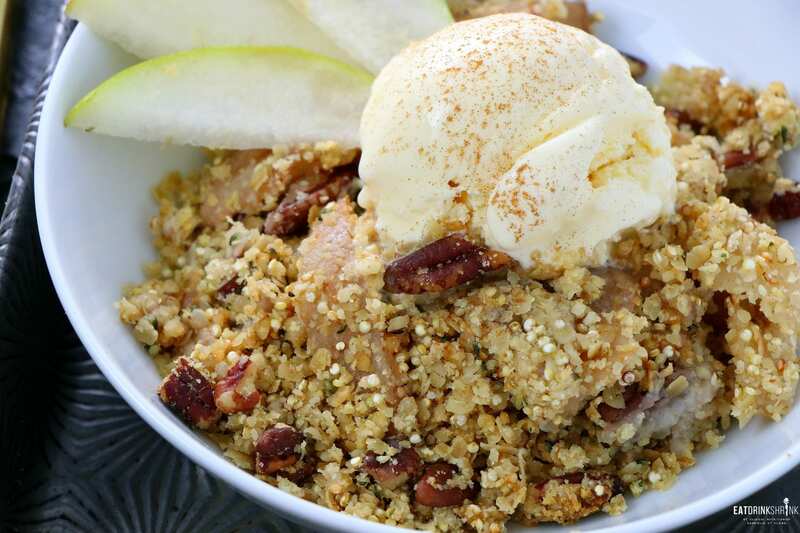 If you love effortless desserts, you’re going to love my staple Pear Fruit Crisp with Quinoa!! 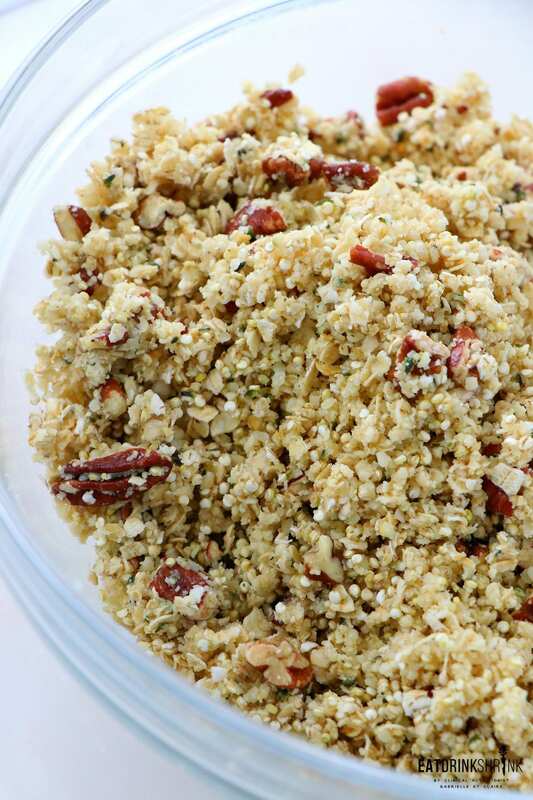 In a separate bowl, use a fork (or your fingers) to mix together vegan butter, almond flour, oats, pecans, quinoa, hemp seeds, and salt until completely combined. The mixture will be lumpy, which is fine. Serve warm or at room temperature. Top with vanilla ice cream!